Watch how Miss Saigon came to Nashville, Tennessee. The story of how your favorite Vietnamese Restaraunt started! After seven days floating on the Indian Ocean on a small fishing boat, 155 men, women and children were rescued and brought to safety. With little food and water these refugees were on the edge of dehydration and starvation but fortunately their savior came in the form of the USS Battle Naval fleet. It was the USS battle naval fleet # 5, one of the seven USS Fleet, who was patrolling and sailing to Singapore at the time. 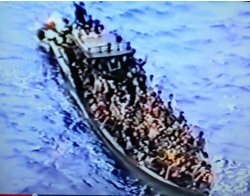 The 155 men, women, and children were rescued in the International waters near the coasts of Thailand and the Philippines. This historical rescue by the US Naval fleet was recorded and discussed on CNN coverage in 1993. Today after 20 years, former Marine Pham Quoc Hung who once served on that very ship that rescued all of them, released its rare rescue footage for the first time to the public. The original members of Miss Saigon’s family were among those refugees that were rescued. They were brought to numerous refugee camps in the Philippines. Everyone on board had to go through a strict background interrogation and immigration process. Many of them were forced to repatriate back to Vietnam for various reasons: failing to prove their suppression or their government’s threat of their well-being. Of those who had passed the immigration interrogation were granted permission to apply for permanent settlement in a third country. Of the unfortunate refugees, some had refused to return to Vietnam. They either fled the camp to survive on their own or blended themselves with the locals and/or got married to become legal residents. In 1993 after 3.5 years living in the camps, thanks to the Philippine government and United States, Miss Saigon Family was granted asylum and settled in California. Their widow mother worked two jobs to raise her three minor children, and two of the three made their way to college; one has graduated with a MBA degree and now working for a big corporation. 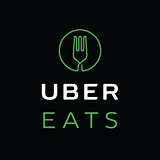 The other two elder brother and sister had started their own restaurants and nail salons in different cities in Tennessee. Their life changing journey from Vietnam to the land of Freedom was recorded on Youtube. Much gratitude goes to Mr. Pham Quoc Hung, former marine who was on the USS naval ship for that footage. Today, a family of four originally now has turned into a big family of 15 members. Some of their children have made it to professional schools: Pharmacy & Nursing. The mother who founded Miss Saigon Restaurant in Tennessee has made many unique sauce recipes. Her secret B.B.Q sauce and Fish Sauce has made her restaurant popular since 1999. Some restaurants in California have expressed interest in buying her recipes. Her youngest son who wanted to fulfill his mother’s dream decided to go to Business School and vowed to help her market their product. He along with the help of few of his University friends are working on the production line. Let’s wish him much success with the undertaking of this his project. Today, with their restaurant being a success, they have never forgotten the past and where they came from. A portion of their profit has been reserved to give back to their community in their homeland from where it all began. Their family and many other friends from all over the world have hosted and sponsored many food drives, building bridge projects, and co-jointed other organizations in helping disastrous victims and poor villagers all over Vietnam. Domestically, they are also regular supporters of the Vietnamese Buddhist Associations and temples. They have often cooked and donated vegetable dishes when there was an event in their area. They have also gone beyond their own homeland to extend their donations. Last May 2014, the youngest son went to Thailand to sponsor a food drive at a rural elementary school in the mountainous area. Their upcoming donation trip was scheduled to be around October 2014 in Gia Lai Province, Vietnam. This is just one of the many ways Miss Saigon and your meals help others. “We have never forgotten how and where we came from. We would not have what we have today if it wasn’t for you, our friends, neighbors, and especially Nashville customers. We must thank America for accepting us, for nurturing us, and giving us a life of freedom. We are very fortunate that we can give back and we thank everyone for accepting our little gifts. 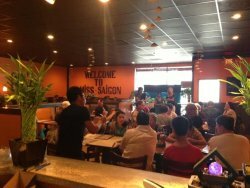 At Miss Saigon, our mission to serve healthy and nutritious food. Healthy people lead a productive and happy life. We love to eat; therefore, we would only serve you what we would eat and we hope our customers will continue to support us,” a quote from the youngest brother who consistently sponsors much of their donation trips to Vietnam. 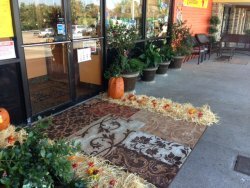 This story was interviewed and written by Mike Burn, a family friend and regular customer.